Traditionally, oats and barley are used to make invalid diet. I recall drinking ‘oats kanji’ (ஓட்ஸ் கஞ்சி) as a kid, whenever I was down with fever! Oats are rich in B complex vitamins, mineral such as iron and zinc as well as dietary fiber. Oats however, lack vitamins D, C and A. Hence, please verify the product you are buying is enriched with these nutrients. Now oatmeal has captured the imagination of Indians as a breakfast cereal, mainly for health reasons owing to cholesterol lowering property, and ease of preparation. However, many do not enjoy oats porridge even if different flavors are available in the market. Hence, the best method is to incorporate oats in our traditional recipes. 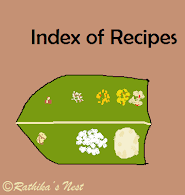 This way you can consume oats in the form of idly, dosa or uppuma. You can make oats dosa in several ways. Nonetheless, here’s a method that is easy and faster. What’s more, you can use up the leftover regular dosa or idly batter! Let’s see how to make quick oats dosa. *Use any brand of your choice. Method – How to make the batter: Roast oats in a kadai on medium flame for 2-3 minutes. Switch off the stove. Once cooled to room temperature, powder the roasted oats using the mixer grinder. Mix oats powder, dosa/idly batter and required salt in a bowl adding water as needed. Make sure that the batter is uniform and has pouring consistency. How to make oats dosa: Heat the tava on medium flame. Once ready, spread the batter evenly on the tava. Add oil around the dosa and wait for the edges to become golden brown. Turn the dosa over and cook for short while. Remove from the tava and serve hot with chutney and/or sambar.